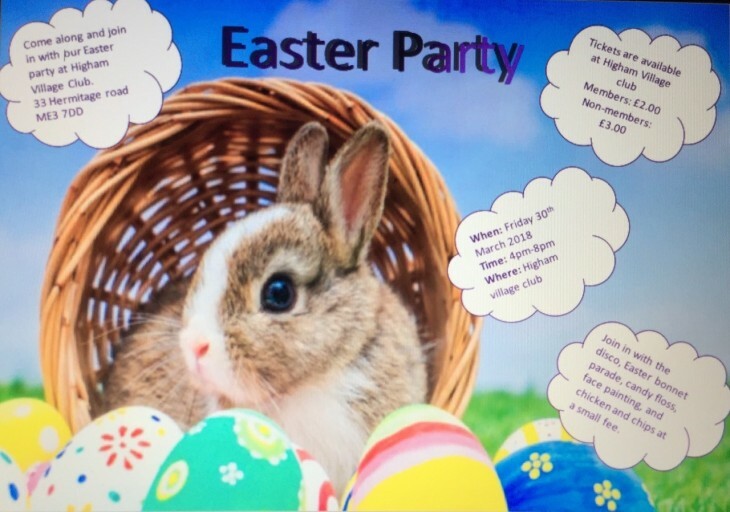 Come to the Club for our Easter Party. Tickets now on sale from the Club. Members children £2 & Non-Members children £3. Also on sale chicken & chips and sausage & chips for a small price.